Having trouble deciding between a luxury yacht and a waterfront resort for your next vacation? 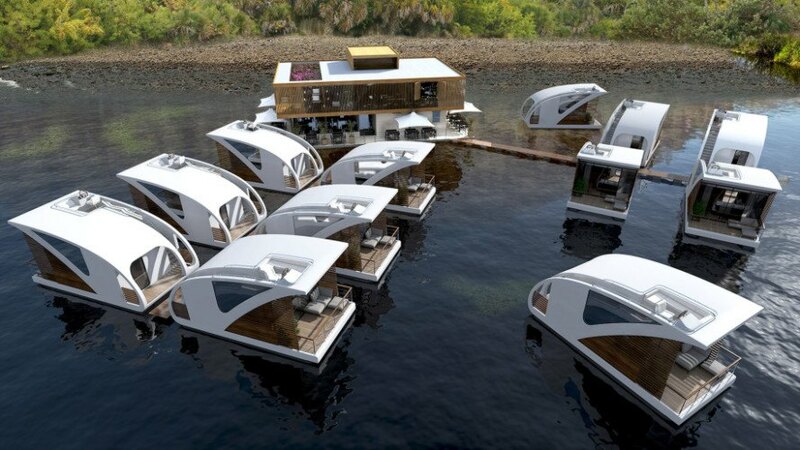 Then this floating hotel, created by Serbian <a href="https://inhabitat.com/index.php?s=yacht" target="_blank">yacht</a> designers <a href="http://saltandwater.rs/floating-hotel-with-catamaran-apartments/" target="_blank">Salt &amp; Water</a>, is your answer. 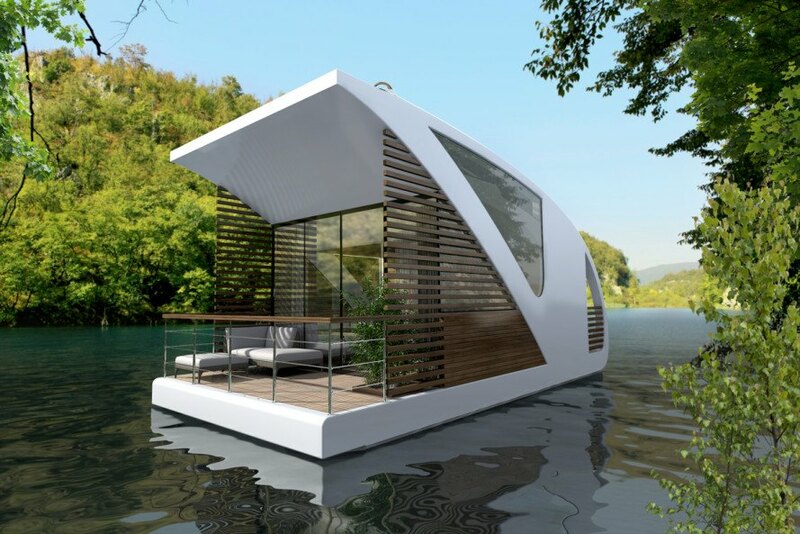 The hotel design, which recently won the 2015 Millennium Yacht Design Awards, allows visitors to check into their own personal Catamaran apartment units, which can be detached from the floating hotel and sailed away. When guests tire of the solitude of their private yacht pods, they can return to the central structure of the floating hotel, which contains the reception area, a restaurant, an events hall, offices and a café. 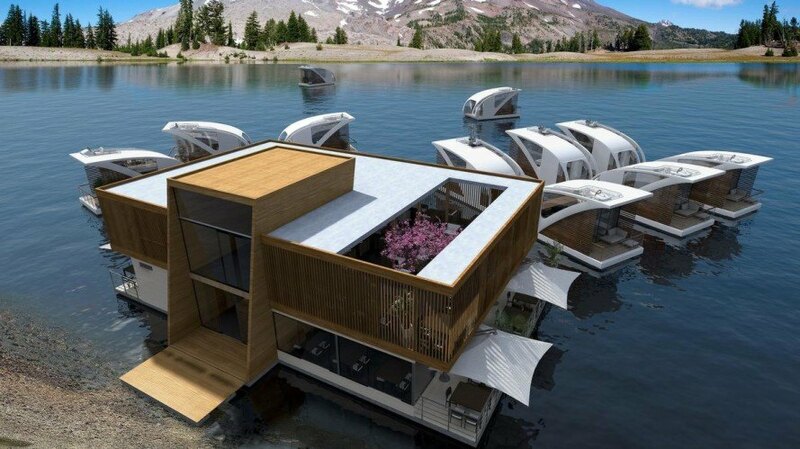 The oddly shaped yacht rooms are designed to move slowly through the inland waters of landlocked Serbia, allowing visitors to enjoy uninterrupted views of the natural beauty around them. Catamaran hotel rooms can be detached from the floating hotel and sailed to the guests' ideal location. Floor-to-ceiling windows allow floating hotel guests to feel a part of the nature that surrounds them. 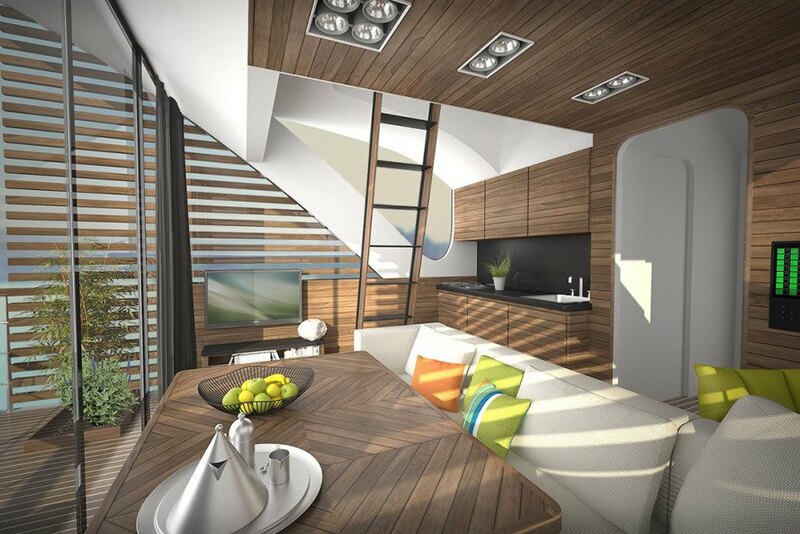 The Catamaran apartments contain a living room, dining area, and upstairs sleeping space. 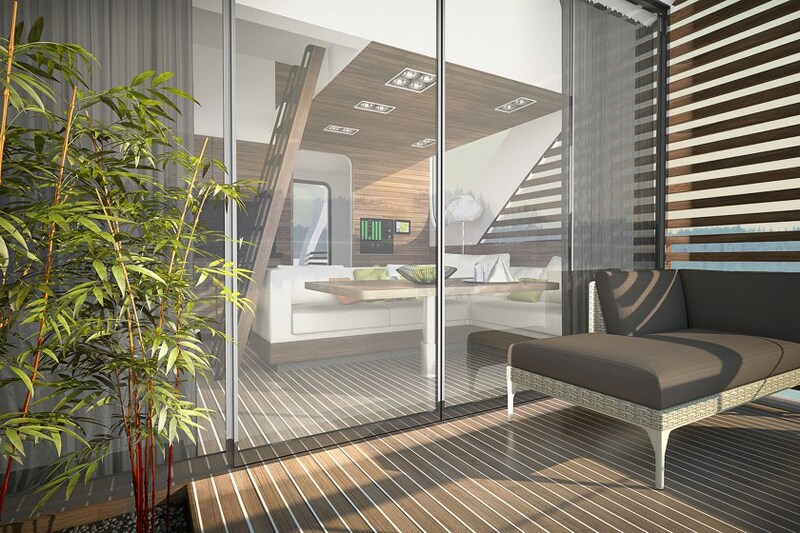 The interior of the floating hotel's Catamaran rooms features uninterrupted views. Having trouble deciding between a luxury yacht and a waterfront resort for your next vacation? 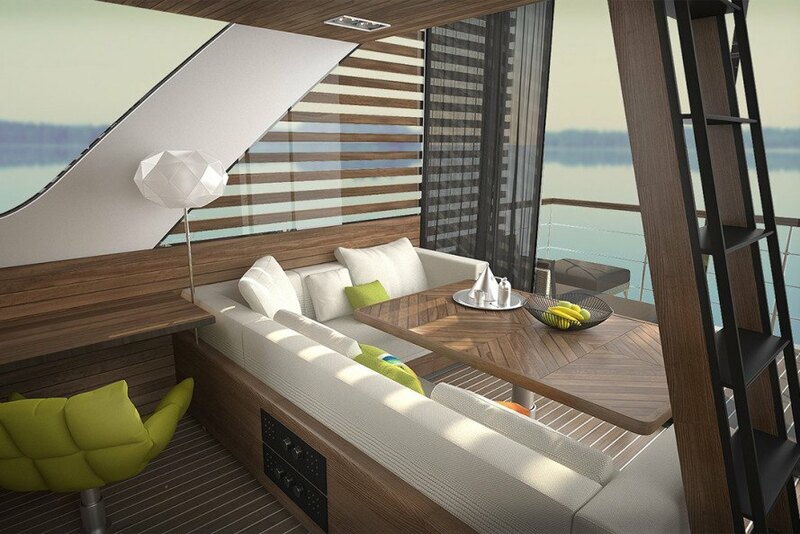 Then this floating hotel, created by Serbian yacht designers Salt & Water, is your answer. 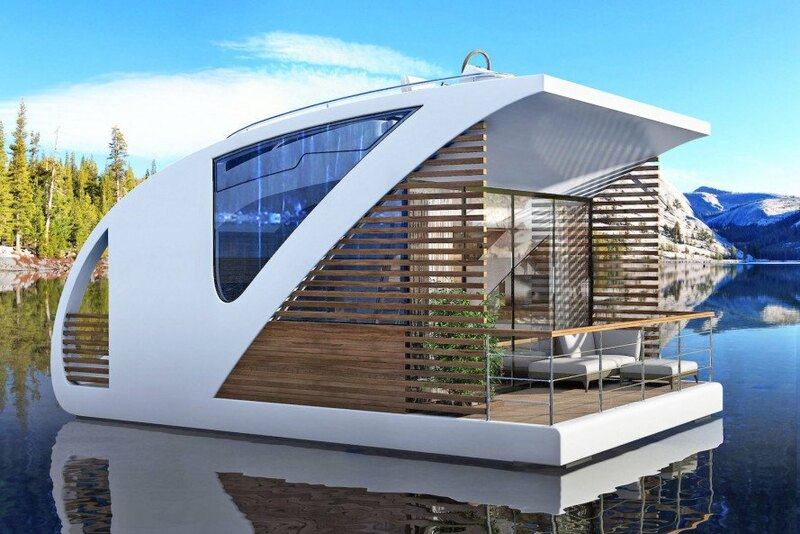 The hotel design, which recently won the 2015 Millennium Yacht Design Awards, allows visitors to check into their own personal Catamaran apartment units, which can be detached from the floating hotel and sailed away.